Tuesday June 18, 2019 10:00 AM Join the reps from HRDC for Storytime the first and third Tuesdays of each month. These skilled storytellers look forward to reading to children all year long. Wednesday June 19, 2019 10:00 AM Find out what Bunny does to have fun when he finds out Mama is going away on a business trip. Wednesday June 19, 2019 7:00 PM The Nobles adore suspense in a good novel and The Gods of Gotham delivers. Set in 1845 New York City, Timothy Wilde a young policeman discovers the body of a 12-year-old Irish boy whose spleen has been removed. Wednesday June 26, 2019 10:00 AM Today at Storytime you will meet Winnie and her dog, Waldorf, who do everything together, from dressing up to eating meals together, but sometimes Waldorf misbehaves. He just can't help himself. Tuesday July 02, 2019 10:00 AM New Storytime! 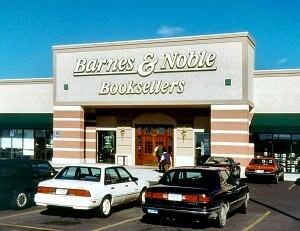 The reps from HRDC will be at Barnes & Noble the first and third Tuesdays of every month for Storytime at 10:00 am. This talented group of picture book readers look forward to reading you their favorites such as Bark, George! Wednesday July 03, 2019 10:00 AM We go to the frozen lands for Storytime today where we meet Virgil and Owen. When Virgil the penguin finds a lost polar bear, Owen, he wants Owen all to himself so he can be the only penguin with a polar bear as a best friend. Wednesday July 17, 2019 10:00 AM Find out what Bunny does to have fun when he finds out Mama is going away on a business trip.